Portea, Ruosh, NuAyurveda and IQVIA! Catch the latest launches in the world of Gift Cards, brought to you by Qwikcilver – Everything Gift Cards! Lined up this month are the usual suspects – brand launches and brand collaborations but hold on, we have something unique and truly mega. Qwikcilver has been listed as one of Asia’s fastest growing companies. On the brand launches front we have showcased some niche and unique brands spread across diverse categories. Gift Cards are no longer limited to very large organisations but are now rapidly adopted by smaller niche brands as well. This is yet another recognition of the Gift Card as a powerful tool in the marketeer’s arsenal. On the Woohoo side of things, we have showcased exciting consumer offers resulting out of our collaboration with brands. Reach out to us to explore how we can join hands in making Gift Cards irresistible for consumers. Finally, presenting the 2018 edition of the Qwikcilver Gift Card Conclave, a truly Future Forward event that will redefine the Gifting Category. Do add the event to your calendar! As always your comments and feedback are always welcome! We are excited to share that Qwikcilver Solutions has been listed at the 35th position among the FT1000: High-Growth Companies Asia-Pacific, compiled by The Financial Times and Statista. This list is the result of months of research including public calls for participation, database research, and direct communication with over 10,000 companies. With revenue growth often used as the most telling metric of business health, The FT1000: High-Growth Companies in Asia-Pacific Special Report will look at why growth is valued so highly and what the list tells us about the region’s prospects, including the top 1000 growth companies to watch. 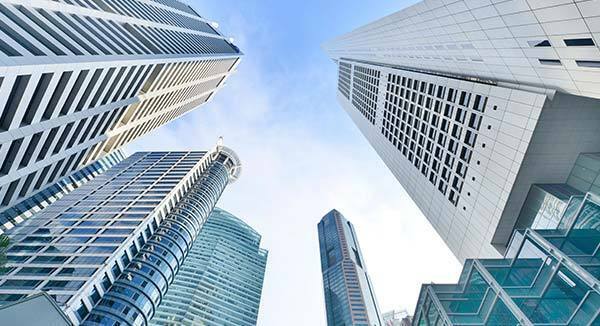 Innovative and fast-growing companies are the driving force of Asian-Pacific economies today and for this reason Qwikcilver has rightly made it to this list. Gift the gift of healthcare in a manner never experienced before. We are happy to announce the launch of the Portea Gift Card program. With the Portea Gift Card which are available on Woohoo, one can gift hospital like care at the comfort of one’s home. Portea provides doctors, nurses, and physiotherapists for home visits who have passed rigorous hiring standards and have had their backgrounds and medical knowledge verified by senior doctors. They facilitate lab tests at home and medical equipment rentals, making health care more accessible for patients. Portea Medical’s clinical procedures were developed in consultation with leading home healthcare professionals in the United States, ensuring that you receive only the highest quality medical care. Looking for a classy and stylish footwear as a gift option? Look no further, Ruosh Gift Card program is here! We are thrilled to announce our partnership with Ruosh in launching a unique and innovative mobile based customer promotion program. A home-grown premium shoe brand, Ruosh, has been crafting shoes for the Indian lady and gentleman for over six years now while laying great emphasis on quality, style and design. The brand, whose parent company provides shoes, soles and other leather products to international labels, works with rare leathers, traditional methods like hand-stitching, hand-tamponation and vegetable dying to produce some of the most good-looking shoes available for men and women right now. Time to pamper and more! We are excited to announce our latest partnership in the Beauty and Personal care segment – the Bodycraft Gift Card program. Awarded and ranked in the Top 50 hottest brands of Bangalore for two consecutive years now, Bodycraft Spa & Salon has been Bangalore’s most known and trusted destination for cutting-edge styling, hair and skin care, and wellness services. Since its inception in 1997, Bodycraft has been at the services of over 1 lakh plus satisfied clients across their avant-garde facilities spread over 60,000 + square feet along with their state of the art equipment. While having defined Gift Cards and shaped the category like none before, we also offer services beyond Gift Cards. On those lines, we excited to announce the launch of nationwide IQVIA Meal Card Program post their merger with IMS Health. This effectively means we have now expanded the base from 7000 employees to 14,000 employees across the country who would be using this meal card. Post the merger, IQVIA evaluated multiple vendors to provide nationwide service and we have successfully met their requirements by providing effective and innovative future ready solutions. IQVIA – formed through the merger of IMS Health and Quintiles, offers a broad range of solutions that harness advances in healthcare information, technology, analytics and human ingenuity to drive healthcare forward. Health is wealth is an old saying that we are all familiar with, but there is something that’s far older than that saying – Ayurveda. And, we are proud to bring to you a gift card with the promise of this ancient wealth. Announcing the launch of the NuAyurveda Gift Card program. NuAyurveda Clinic is a specialized chain of Ayurvedic clinics that blends science with tradition by bringing contemporary research to traditional Ayurvedic medicines and treatments. In the month of January Woohoo collaborated with leading brands to bring out some exciting offers. The offers ranged from 10% to 15% discounts on brands like BigBasket, BookMyShow, Cleartrip, Cleartrip Local and Cleartrip Hotels. Additionally, the Google Tez offer continued which enabled users to receive a cashback every time they paid for a transaction on Woohoo with Google Tez as the payment option. 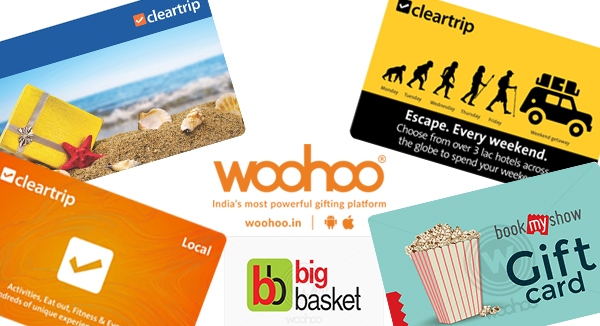 Click here to check more offers on Woohoo!